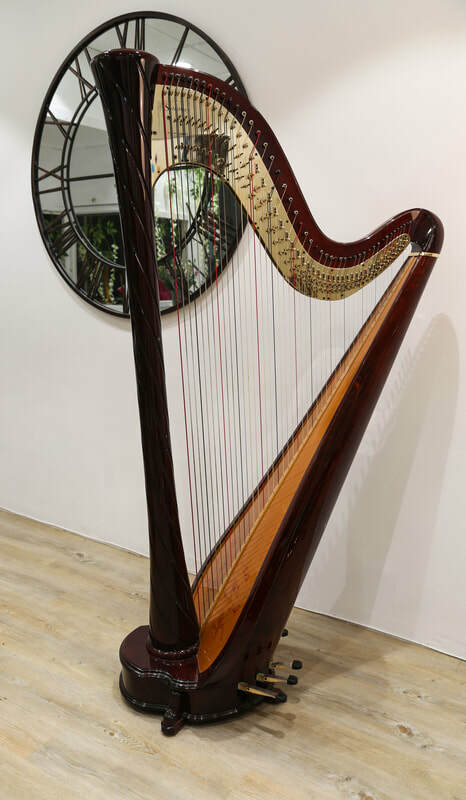 These harps feature all the legendary attributes that you would expect from Pilgrim's original harps but with the addition of a special new pick-up system. This system retains the full integrity of tone and evenness throughout the range. Convenient to use, it can provide anything from a little sound enhancement to full volume amplification. 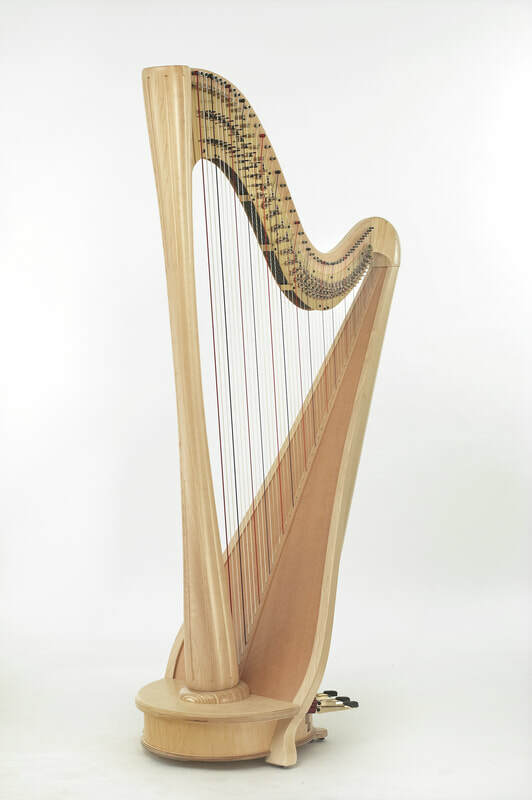 "Acoustically this harp has a truly beautiful sound, clear in the base and very sonorous in the upper octaves. Played with electric it has an even amplified tone throughout the whole 47 string range. 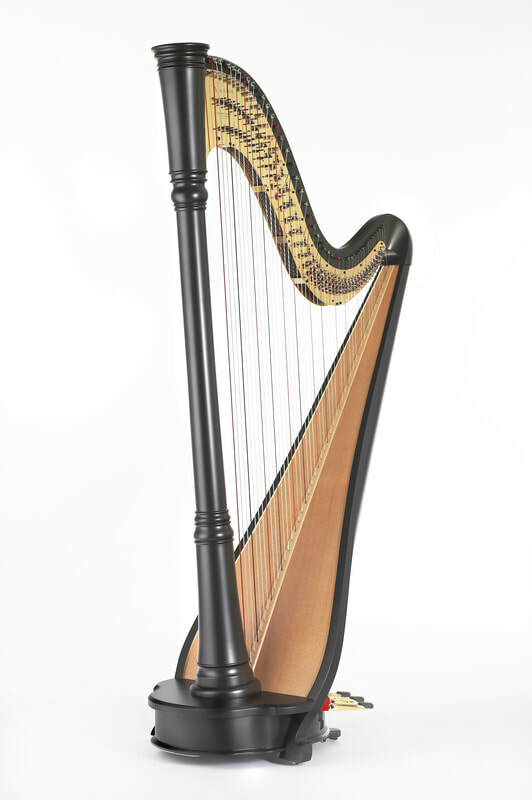 This harp sounds brilliant amplified and loses nothing acoustically! 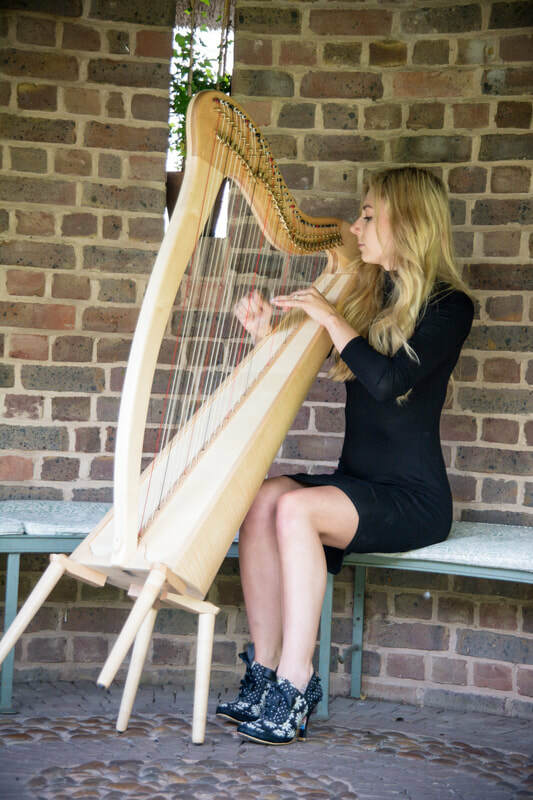 I feel so grateful to live at a time when the development of new harps with incredible sound and capabilities is striding forwards all the time. Thank you to all the builders in this amazing renaissance, I am so happy to be getting to be part of it as a harp player and teacher!"